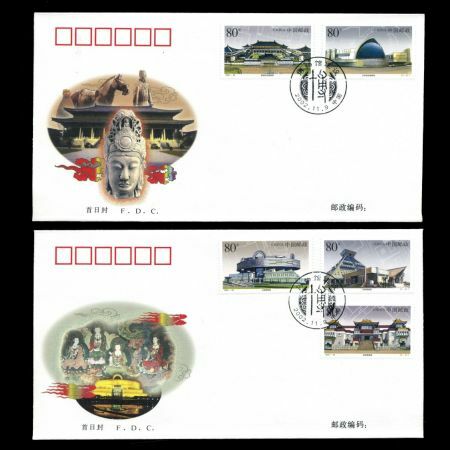 China 2002 "Museums of China"
On November 9 2002, Post of China issued as set of 5 stamps dedicated to most famous museums of the country. 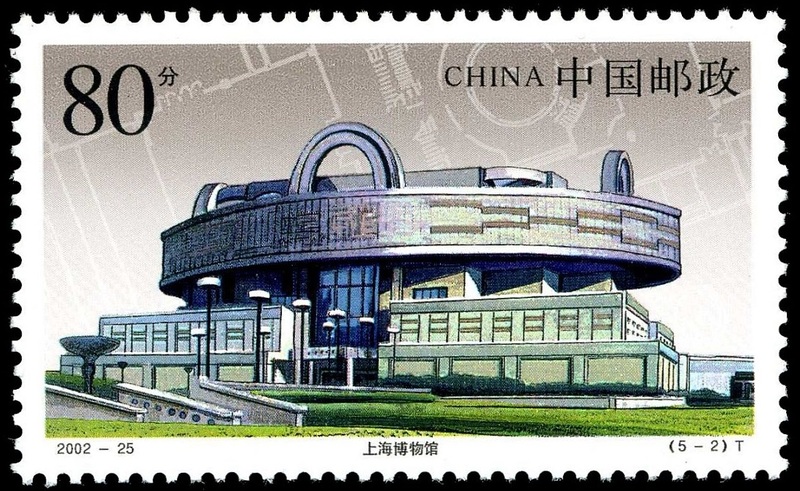 One of the stamps shows a building of The Tianjin Natural History Museum, which has big paleontologic exhibition. References for researches on the evolvement of amniotes. The museum features four basic displays of Animal, Paleontology, Plants and Paleo-anthropology fossils, containing ancient reptiles and mammals, animal ecology, insects and aquatic organisms. The Shaanxi History Museum is situated on Yan Ta Road in Xi'an City, Shaanxi Province. It is a national-level modernized large-scale museum, and a grand imitation of traditional Tang dynasty buildings. Covering an area of 65,000 square meters, with a building area of 60,000 square meters, the museum gathers the cultural quintessence in Shaanxi, and has represented the evolution of Chinese civilization by combining the Chinese ancient palace and courtyard architectural style together. The museum has collected 370,000 unearthed historical relics treasures in Shaanxi, and visitors can appreciate the treasures made from prehistory, Zhou to Ming and Qing Dynasties which systematically shows the Shaanxi history from 1,150,000 years before to A.D.1840. Exhibited in the main exhibition hall are 2,700 works of art, with an exhibition line that extends 2,300 meters. 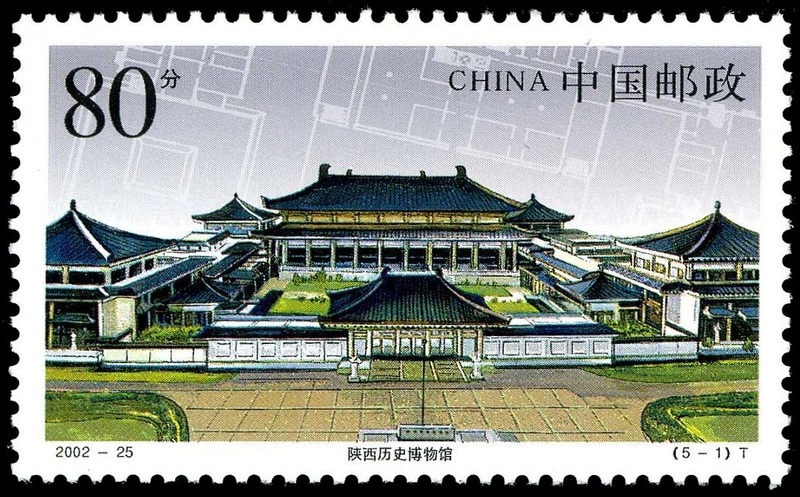 The exhibition space is divided into an introductory hall, permanent exhibitions, special exhibitions, and temporary exhibitions, as well as one that has been named the National Painting Hall. Shanghai Museum. As a museum of ancient Chinese art, Shanghai Museum possesses a collection of 120,000 precious works of art. Its rich and high-quality collection of ancient Chinese bronze, ceramics, painting and calligraphy is specially celebrated in the world. The Tibet Museum is located in the southeast corner of Norbu Lingka, Lhasa city. It covers an area of 23,508 square meters (5.8 acres) including the exhibition area of 10,451 square meters (2.6 acres). The museum is equipped with modern facilities to ensure quality service for visitors and safety and efficient administration of the museum itself. Here exhibits are introduced in Japanese, English, Tibetan, and Chinese, in order to accommodate visitors from all over the world. 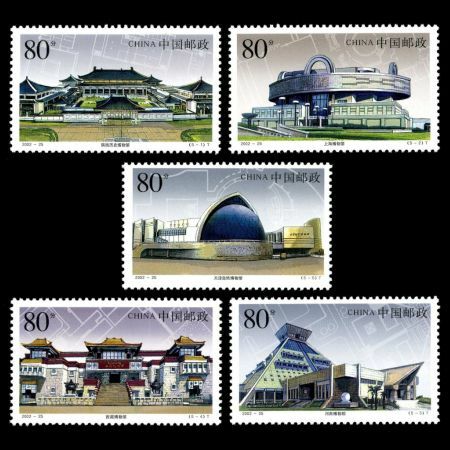 The construction project of the Tibet Museum was listed as one of the sixty-two "Aid-Tibet Projects" in July 1994.The museum opened in October 1999 to coincide with the 50th anniversary of the Founding of the People's Republic of China and the 40th anniversary of Tibet's Democratic Reform. 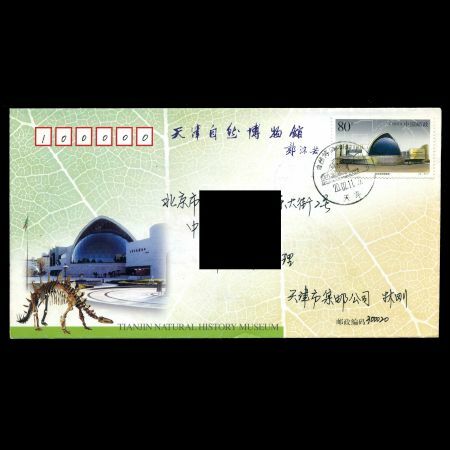 The former Chinese chairman Jiang Zemin inscribed the named for the Museum. 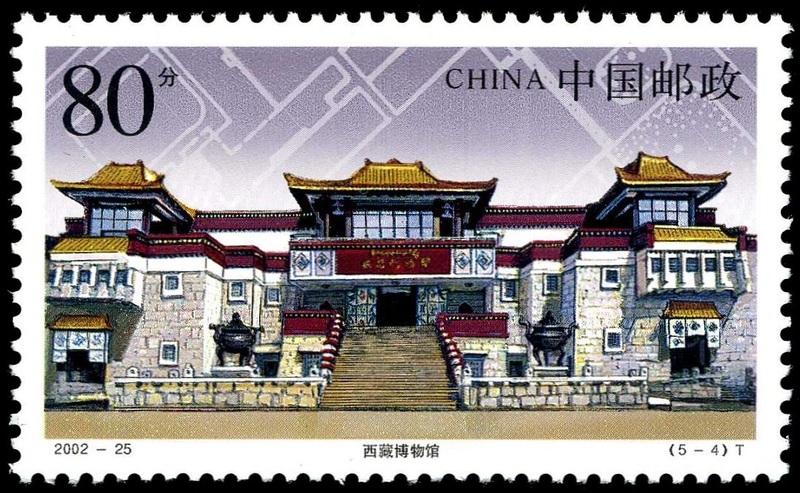 The museum building is a pioneering institution in the history of Tibet. Designed by a Han Chinese architect from Sichuan province, the complex is a wonderful combination of Chinese and Tibetan architectural styles. Henan Museum, located in Zhengzhou, is a newly-built modern history and art museum. 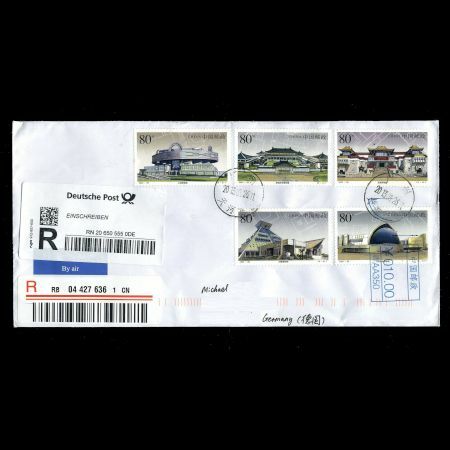 It opened to the public on May 1, 1998. 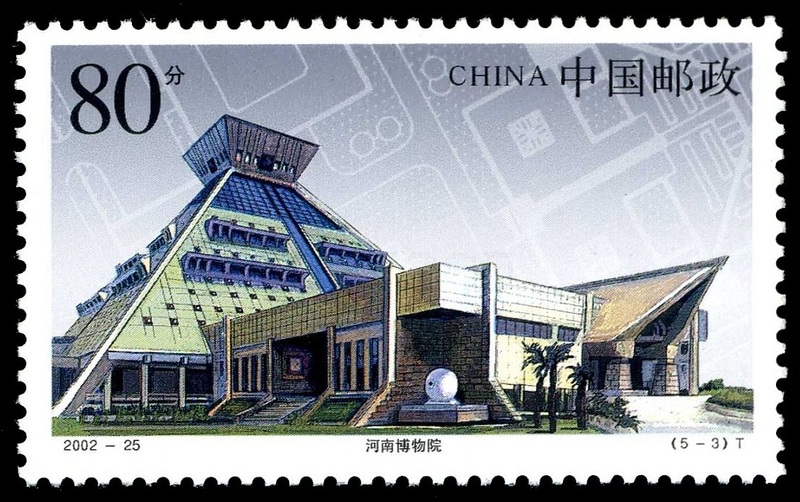 Henan Museum occupies an area of more than 100,000 square meters, with a total floor space of 78,000 square meters. At present the museum has a collection of more than 130,000 pieces of cultural relics treasures, of which more than 5,000 pieces are treasures of the first and second grades. Among them, the prehistoric cultural relics, bronze vessels of the Shang and Zhou Dynasties, and pottery and porcelain wares of the various dynasties in Chinese history possess most distinguishing features. Inside the museum, there are basic exhibition halls, specialized exhibition halls and provisional exhibition halls. For the first batch of exhibitions, two basic displays and six specialized displays are offered. They are rich in contents, presenting a spectacular sight to visitors. 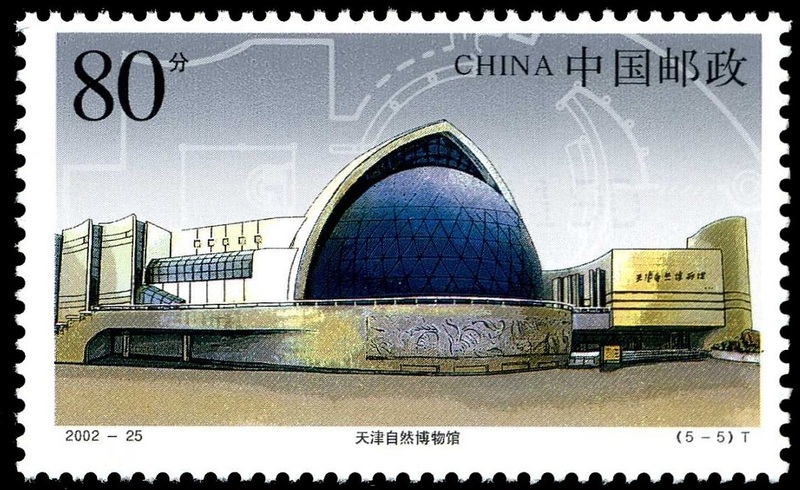 Modern technological means have been adopted, such as audio tour, magnified video-tape playing, computer consultation and visitors' interactive facilities, so as to meet the needs of visitors for knowledge and appreciation of cultural relics and for entertainment. 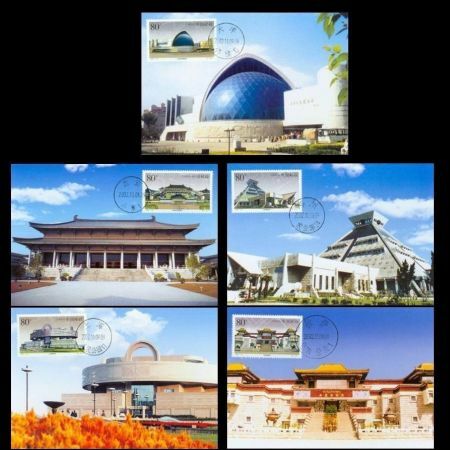 As a modern museum, Henan Museum is equipped with advanced security system, automatic building management system, audio-visual education system, service information computer network system, cultural relics preservation, protection and research system and other high technology equipment. Henan Museum is a modern base for cultural relics collection, exhibition, preservation, research, dissemination and education.